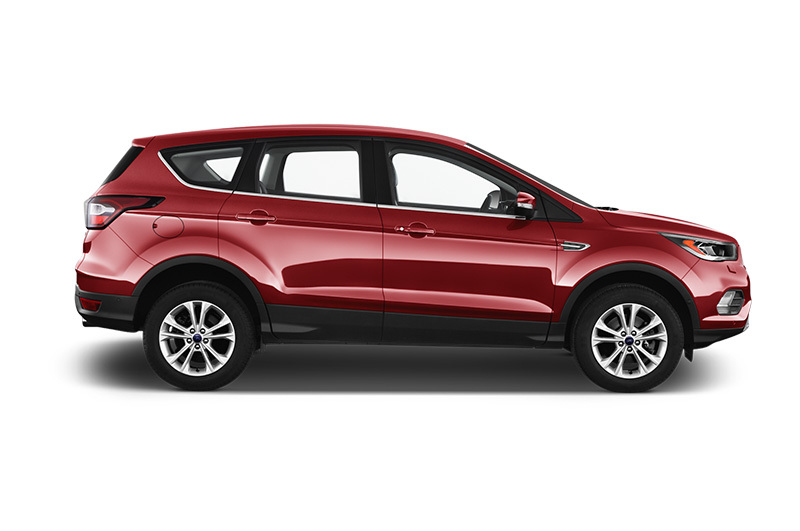 The Kuga is Ford’s take on the family-sized SUV. It’s got all the right 4x4 looks but with excellent on-road manners. 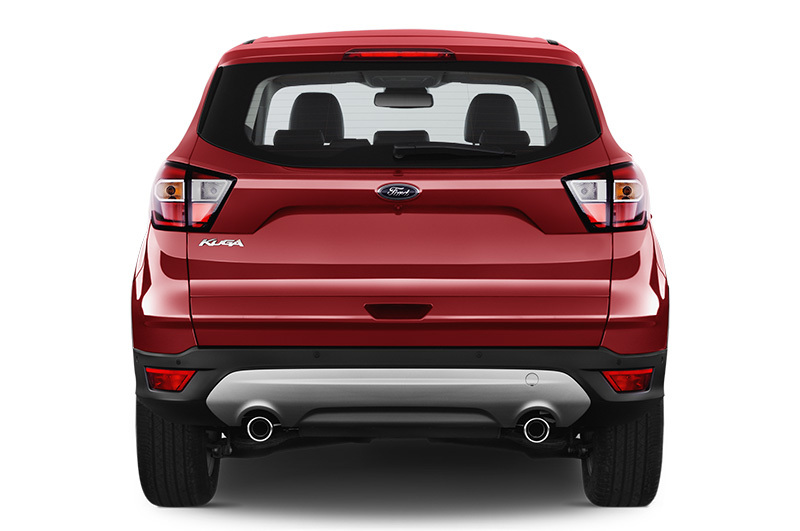 The Kuga is popular with owners and has strong residual values. Like almost every Ford, the Kuga is a fun car to drive and this is one of its core strengths where most rivals miss this point. However, it also manages to be comfortable too and suits both long motorway journeys – where the high driving position is particularly useful – as well as runs to the supermarket or school. Two engines are available, a 2.0-litre diesel and a 1.5 turbo petrol from Ford’s Ecoboost stable. Both of these are in turn available in two power outputs. In the case of the diesel it’s 150hp or 180hp and the petrol comes in at 150hp or 182hp. The 150hp petrol is only available as a front-drive car while the 182hp is only fitted with all-wheel drive. In the diesel the 150hp is available with either front or all-wheel drive, but again, the higher power unit only comes in AWD. 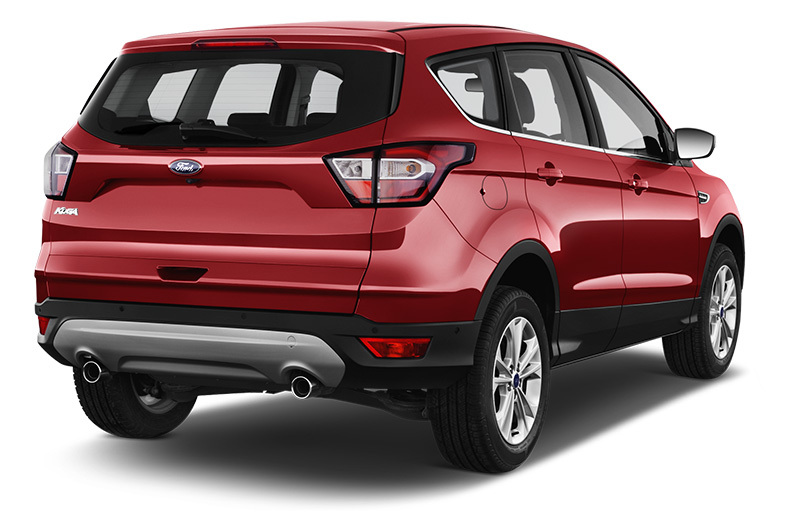 What are the key standard features of the Ford Kuga? There are four trim levels to pick from staring with the Zetec which includes 17in alloys, Quickclear heated front screen, powered & heated door mirrors, front fog lights, DAB radio, Ford Sync (which includes Bluetooth and a USB socket), cruise control with speed limiter and manual aircon. Titanium model adds auto headlights and auto wipers, centre console with 12v power outlet, rear centre armrest, colour instrument display and lumbar adjustment for front seats. Titanium X adds 18in alloys, panoramic sunroof, xenon headlights with wash function, Led day running lights, powered tailgate, leather heated seats, powered driver’s seat and rear LED lights. Titanium X Sport adds 19in alloys, bodykit, front and rear parking sensors, satnav, roof rails and power-fold mirrors. 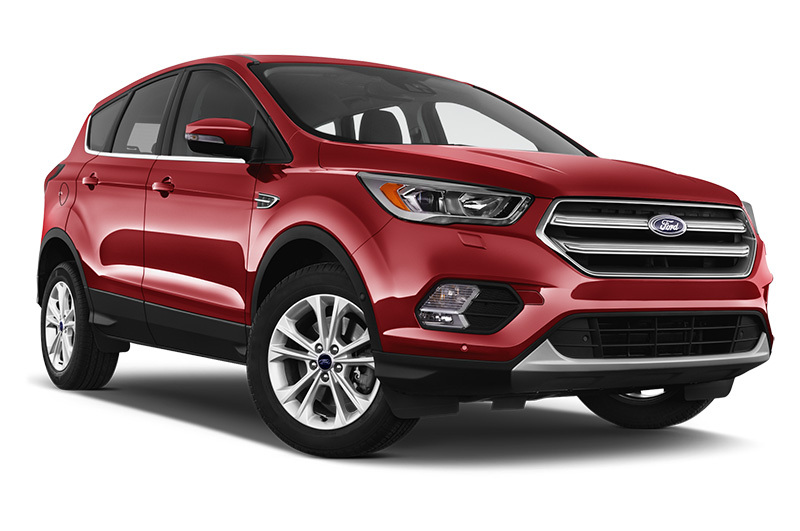 Although even the Zetec model is very well equipped, Ford offers a host of options including a tow-bar kit, parking sensors, satnav and blind-spot information system. 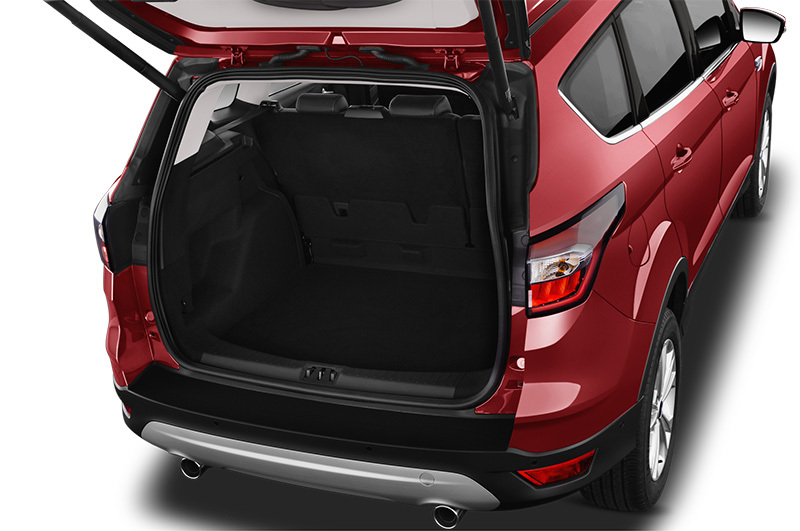 How spacious is the Ford Kuga? Interior space is good in the Kuga for front-seat passengers with plenty of cubby holes and good door bins and all but the Zetec cars have a centre storage area. Boot space is good for the class too at 406 litres. 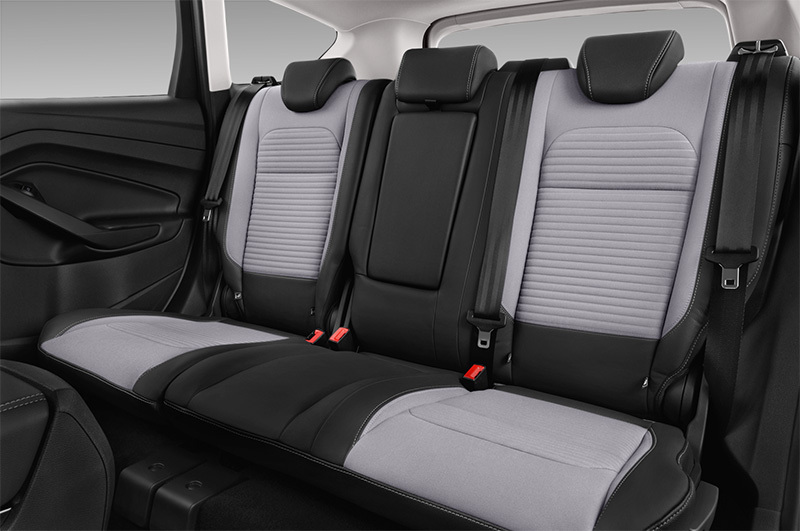 The rear seats can be split-folded and in maximum capacity mode there’s 1603 litres of space. The front-drive 150hp diesel is the most fleet friendly with a CO2 figure of 122g/km, so putting it in the 28% benefit in kind tax bracket. The all-wheel drive version bumps this to 135g/km, and the automatic gearbox (only available with AWD) takes this to 140g/km. The best petrol sits at 143g/km for CO2 and sits in the 29% BIK band making it a sensible alternative to the diesel for lower mileage drivers. The Kuga is impressively safe with seven airbags standard across the range and it scores five stars for EuroNCAP with a 94% adult occupant rating, 86% child occupant rating and 100% for safety assistance. There’s also an optional Driver Assistance Pack which adds lane keeping, driver alert, city stop and traffic sign recognition. These include the Honda CR-V, Hyundai Santa Fe, Kia Sorento, Nissan X-trail, Vauxhall Antara and VW Tiguan.